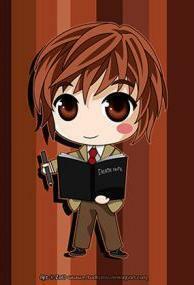 Death Note Чиби. . Wallpaper and background images in the Тетрадь смерти club tagged: death note death note chibi. Еда pYramid!!!!!!!!!!!!!!!! THE L WAY!! If Light had died first..